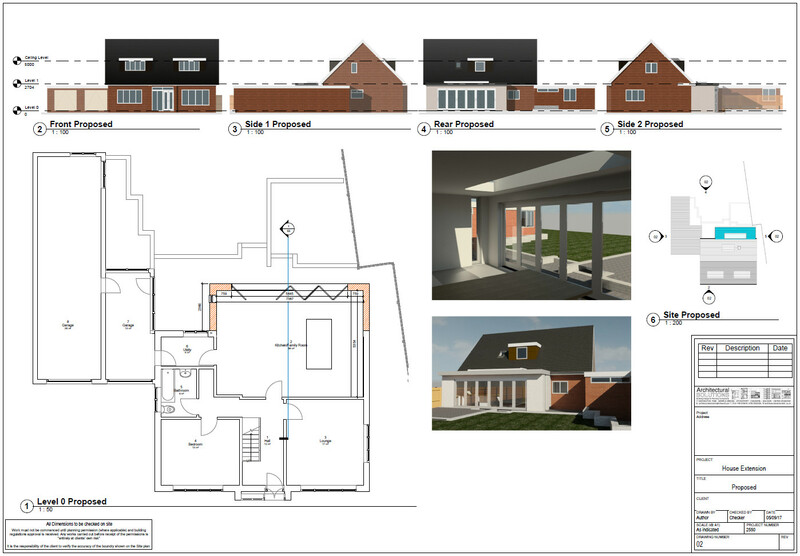 During the conception and design process, we use industry leading design software to provide our clients with the opportunity to visualise the designs before building work commences. 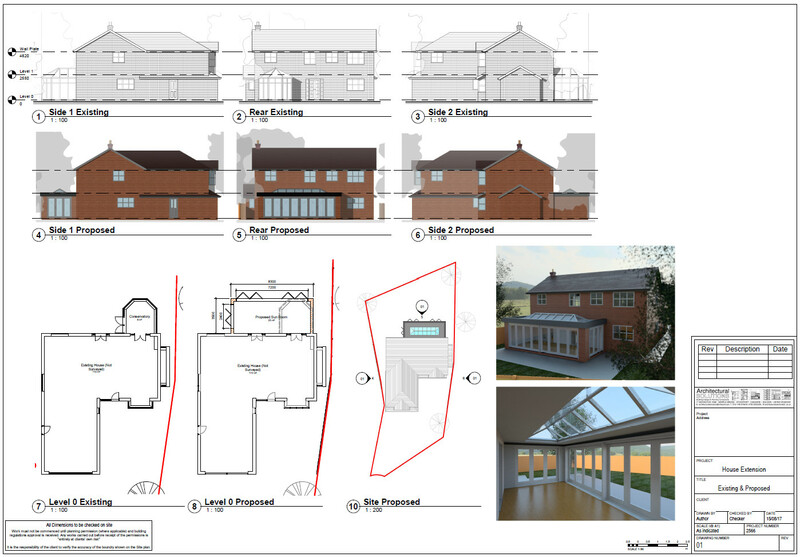 ‘Autodesk Revit’ enables us to produce photorealistic 3D views and videos of your project in addition to traditional plans and elevations. 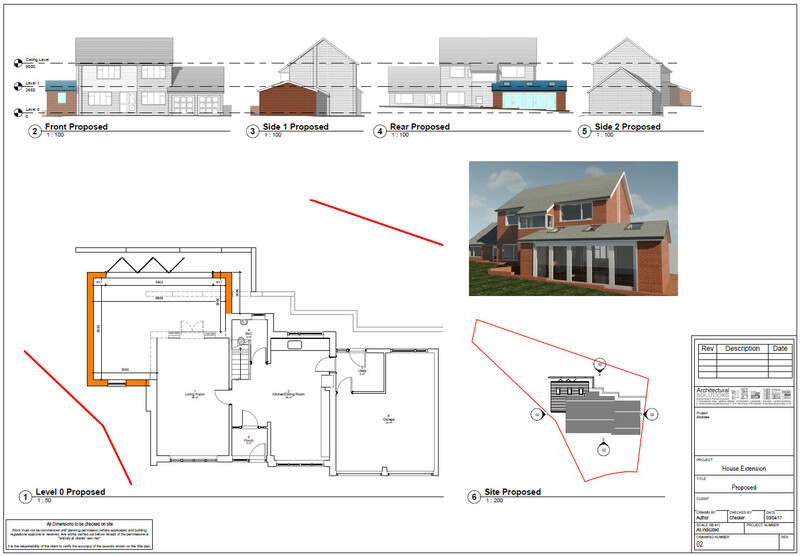 Please see examples of our planning drawings below. 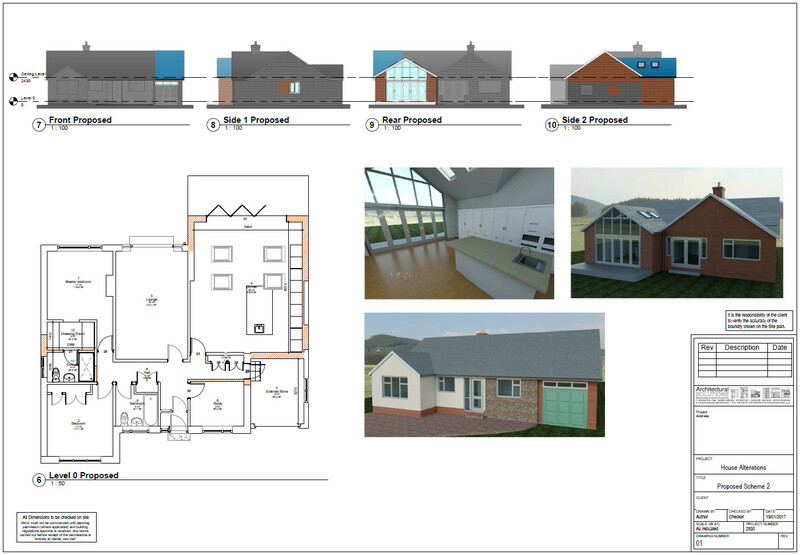 Click each plan for a larger version.